Here’s a brand new children’s picture book for the new year! 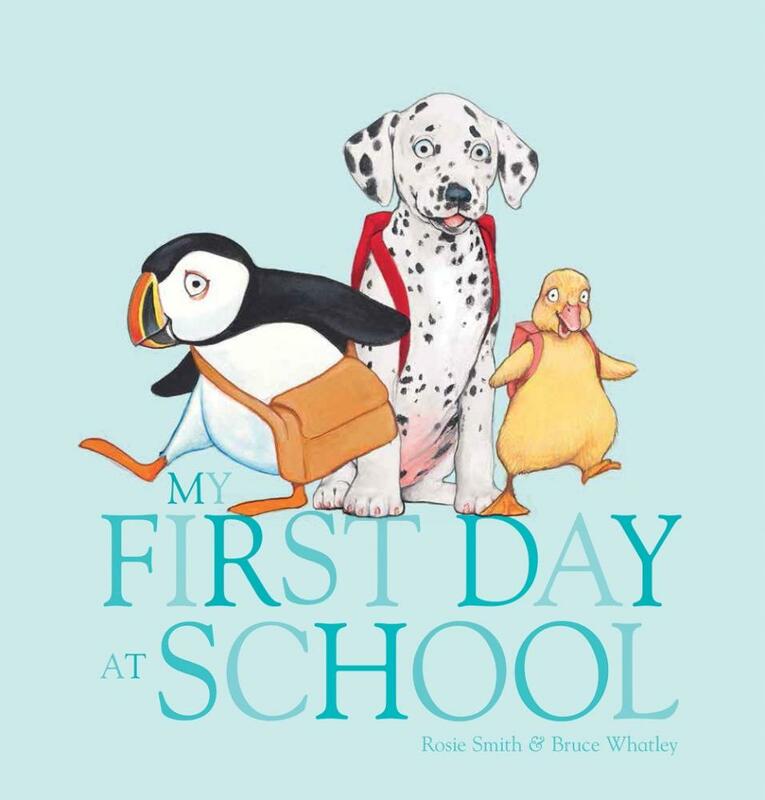 My First Day at School was created by Rosie Smith and Bruce Whatley, and published by Scholastic Press (2016). RRP: $Au 16.99. School is a big deal, whether you’re a toddler starting day care or a five-year-old beginning big school. It also seems to be lots of fun if you’re a caterpillar or a duckling! On my first day, I will meet new friends and learn new things . . .What about you? Whether big or small, feathered or furry, the first day of school can be a lot of fun! The combination of genuinely funny illustrations and very simple text will appeal to kids 2+. Apart from showing us a range of cute animals participating in everyday school and home-related activities, it provides an opportunity for kids to celebrate their achievements - like being able to dress themselves, finger paint, count to ten and handle their lunch. There’s also a lovely understated reassurance at the end when home time comes and we see a duckling and Mother Duck re-united. I love the simple text because it means this children’s picture book can also be memorised by youngsters via repeated re-sharing. Memorising is an important milestone on the road to reading, made more achievable by short text, and often by rhyming text too. So grab My First Day at School for home or for libraries to supplement resources about Myself or School. You might also be interested in reading my article, Helping Kids Get Ready for Big School. Find more Children's Book Reviews on The Book Chook by clicking Reviews in the right sidebar.